This very lightly gelled fruit soup, served here with berries, sliced kumquats, and chopped pistachios, plus some crushed meringue, is an elegant fat-free dessert. 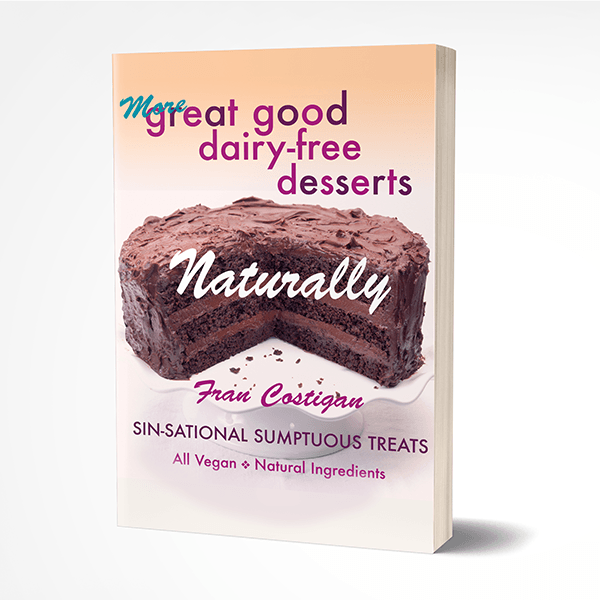 It just happens to be naturally vegan, gluten-free, oil-free, and sugar-free. You may have read my recent posts, and those of my friends and colleagues, about a very special plant-based dinner collaboration between Les Dames d’Escoffier, Philadelphia and the Walnut Hill College Restaurant School on April 5th. The menu for the Pure Vegetarian Dinner: A Vegan Spring Soiree is both gourmet and heart-healthy. 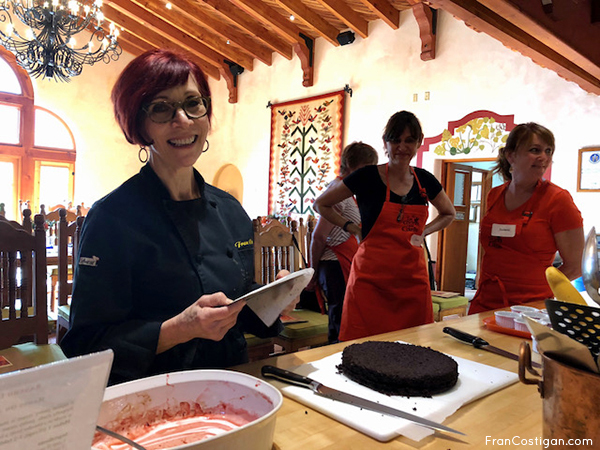 The chefs – Lynn Buono of Feast Your Eyes Catering, Kathy Gold; In the Kitchen Cooking School. Alice Leung, Soy Café, certified plant-based chef-educator, Charlene Nolan, and yours truly – worked together seamlessly to create this menu. The evening features passed hors d’oeuvres, a 3-course seated dinner, and desserts. See the full menu here and get a ticket—not many are left. Kathy Gold and I met with Restaurant School Pastry Chefs Marie Stecher and Katherine Honeyman to discuss the desserts and plating. The school is fabulous and so are the chefs. We tasted several of the creams and gels I’d brought with me, as well as the Glazed Chocolate Buttons and Truffles that will be on the tables. I love creating desserts, but my plating skills are limited. I’ll go so far as to say, lacking. Marie, Katherine, and Kathy had such good ideas, and I felt the joy of collaborating. Today’s Fruit Soup recipe is a version of the dinner’s Gelee de Printemps still being finalized. You can find a version of the cream here, just add some lemon zest to it. For this dinner, I lightened the recipe a bit. This gelled fruit soup, served here with berries, sliced kumquats, and chopped pistachios, is an elegant fat-free dessert. It’s vegan, gluten-free, oil-free, and sugar-free. Pour the juice into a medium saucepan. Add all of the ingredients except the agar powder and bring to a boil. Immediately remove the saucepan from the heat and cover it. Allow the juice to infuse for 20 minutes. Pour the juice through a strainer set over a bowl or measuring cup. Discard the solids. You will likely have 2 cups of juice now. If you have more, save it to drink. Use 2 cups. Rinse the saucepan and pour the juice back in. Sprinkle the agar over the top. Whisk off heat, and then cook over medium heat to a boil, whisking constantly. Adjust the heat to allow the juice to boil low for 1 to 2 minutes. Remove from the heat and stir in the extract. Pour into serving bowls and allow the soup to cool to room temperature. Refrigerate until the gel is softly set. Garnish as you like. I used blackberries, raspberries, both sliced, kumquats, thinly sliced, chopped pistachios and shards of meringue cookies that I found in my freezer. (Yes!) I dusted the plate with pulverized strawberry powder. 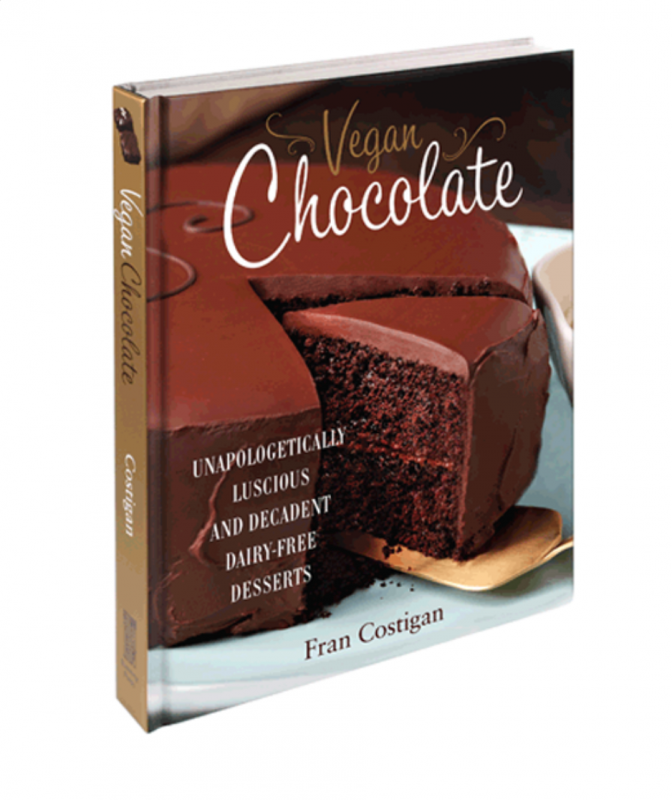 Note that this is a version of a recipe we teach at the Essential Vegan Desserts Course. Variations are suggested by season, but the students are encouraged to create their own flavor profiles and do the plating. Agar, a plant-based gelling agent works like gelatin, well, actually it is easier to use. It can be re-melted and the consistency adjusted. Use any juice you like, fresh or bottled. Take it sweet or more savory. It’s tricky to get this soft gel into the mold. Wait until it has started to set. It is easier to mold a gel made with 1 teaspoon agar powder per cup of juice. If you prefer the softer set, as I do, just pour the gel into small bowls. The Early Bird Discount for the May 7th Essential Vegan Desserts Course has been extended through Sat March 30th. 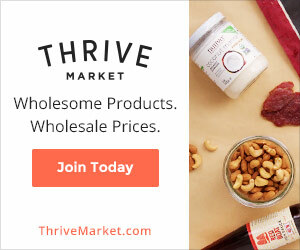 Save 20% by using the code EARLY2 at checkout. I’d love to work with you. And if you are in the Philadelphia area, or nearby, or you are coming for the April 6, Food as Medicine Conference sold out, why not come to our special dinner. Get tickets here—they are almost sold out.